Two Birds continue to kick goals – or should that be hit home runs – with spring 2018 seeing the Spotswood brewery tie up a deal with baseball clubs Melbourne Aces and Geelong-India to supply beers at their games. 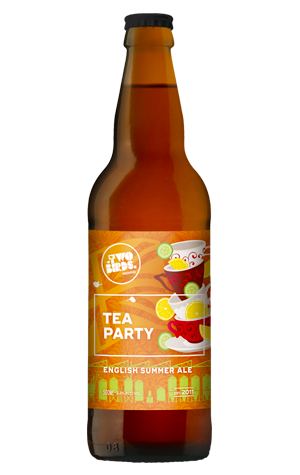 And, of course, the new beers keep coming too, with this big bottle release inspired by a trip to England and in which they look to capture "the best parts of English hospitality", which in this case (aside from the beery parts) is Earl Grey tea, lemon and cucumber. Head brewer Bird Jayne Lewis has experience playing with such combinations dating back before the launch of her brewing company, creating a summery ale to be served with a slice of cucumber when still at Mountain Goat, although this is a far more complex beast than its ancestor. Darker than one might expect of an English summer ale – with the copper hue matched by an attendant toffee sweetness – its aroma brings to mind Tizer more than anything, a garishly hued British soft drink from the manufacturers of Irn Bru. If you were looking for a local reference point, you could mark it down as a distant British relative of Taco, with which it shares spiky lemon-lime citrus aromas and a quirkiness, in this case a herbal, almost spicy side. That said, Tea Party is a little sweeter yet also a little drier and more bitter, and possibly also a little more outré, like the English aunt whose wicked sense of humour starts to shine through after she's sat a little too close to the jugs of Pimm's.